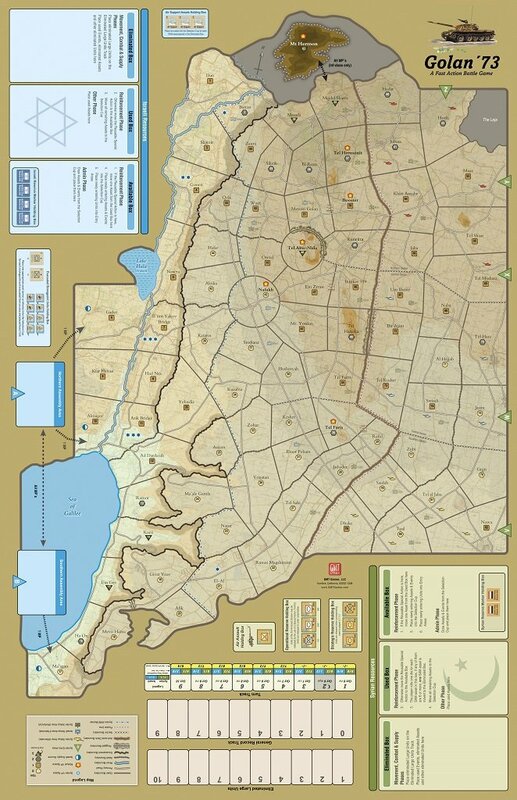 Based on positive feedback to our our mounted mapboard releases, we are offering mounted maps for several of our most popular games as P500 items. These are regular 22 x 34 inch game maps, but mounted - same quality as our COIN Series, Twilight Struggle, Washington's War, Here I Stand, Sword of Rome, Wilderness War, and Paths of Glory reprints. We are now offering a mounted map for Golan '73: FAB #3.